"The first night I tried Benji Sleep I slept for 8.5 hours. Talk about the best sleep ever!" Sleep is something we all need to value more. 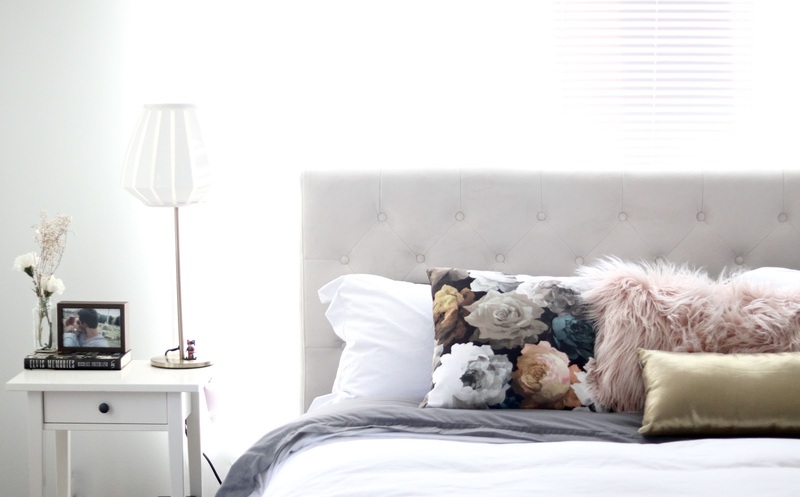 Did you know over 68,000 hours of my life has been spent sleeping ( CRAZY, I KNOW!) so it's beyond important to get the best quality of it that I can. When I don't get enough sleep it shows on my face (hello, undereye bags), in my mood, and through my cognitive function. I can't afford to be sacrificing any of those things if I want to feel my best and work to the best of my ability. And neither should you! I recently invested more energy in getting a better night's sleep. Does that sound like a juxtaposition? Maybe it is, but hear me out. You need to put in the work! I've developed a bit of a routine to ensure I fall asleep fast and hard, and am maximizing my sleep time. And, it's been working wonders for me. 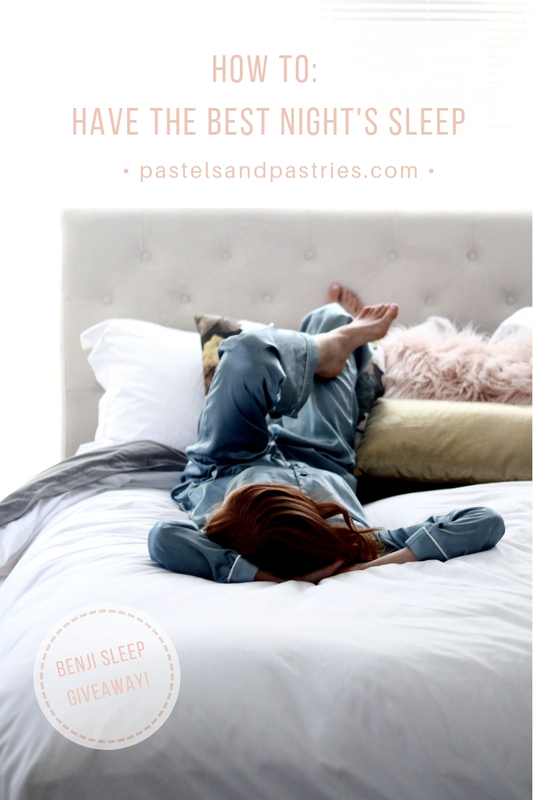 Here are the five ways I've been investing in my sleep and just clocking in those zzZZzzz's to really make the most out of my days. Experiment with them and see what works for you. 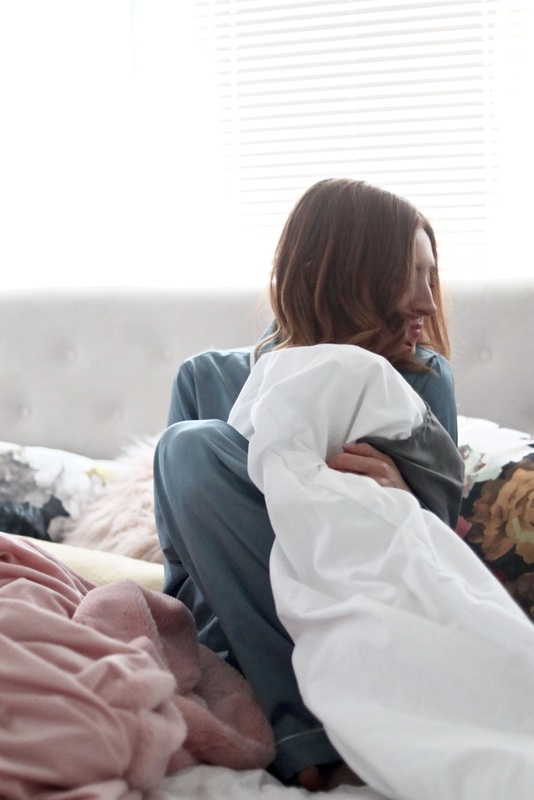 Also, keep reading because you'll want to get in on this amazing giveaway with Benji Sleep, purveyors of the quite literally, the softest bedding ever (wink, wink). BONUS- I have a promo code, too! No matter what, if I am on the go all day long and come home and plan to go to sleep right away, it's just not going to happen. I am on the computer at work, running around to events, then on my phone catching up. My mind is constantly racing. It can be hard but I need to give the mind the necessary unwind time before I switch off into bedtime mode. I find my mind races, the stressors of work and to-do lists are still at the forefront of my thoughts if I don't. Chill time for me can mean taking the time to have a bath, put on a face mask or partake in my nightly skincare routine. It can also mean reading just a few pages of a book or flipping through a magazine on my bed. Whatever makes you feel calm, give yourself 30-60 minutes of this before you switch modes. You can really set the tone for the night and allow your body to naturally wind down. I've said it before, and I'll say it again... sometimes I need a little backup! There is no shame in that. Magnesium, relaxation boosters, pillow spray... they all help me get a good night's sleep. Magnesium is something I swear by to calm the body and mind and when I mix it with Lee's Provisions' Pink Chai tea, I am on cloud nine. The tea contains the adaptogenic herb tulsi which is grounding, fights stressors and leaves you totally zen. I also love a good pillow spray to aid in sleep. Aromatic blends that include lavender, vetiver, and chamomile are proven to help relax, calm and soothe you to sleep. Enter the key player of today's post-- Benji Sleep. 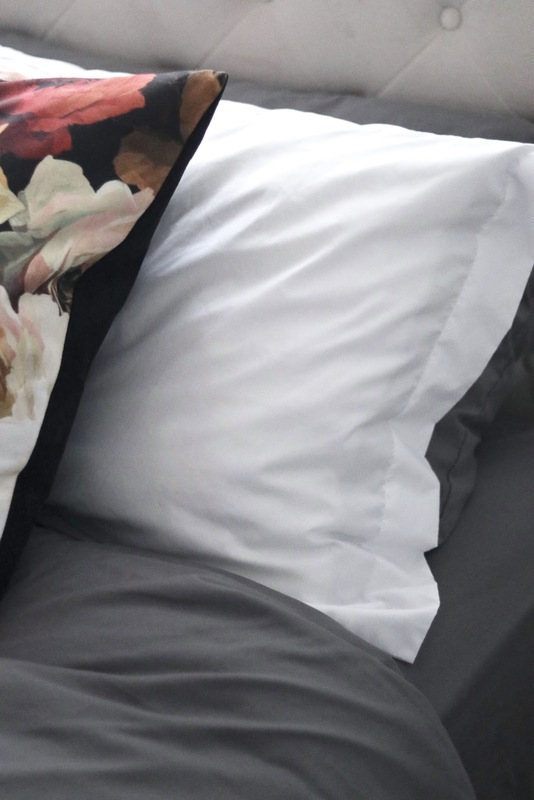 Developed in Toronto by two young entrepreneurs, Benji Sleep is changing the game when it comes to affordable luxury bedding. Their slogan is "so damn soft", and I can truly attest to this softness! Literally a game changer. I love decor and interior design but have always dreaded shopping for sheets. I don't know why but it can be so overwhelming! I don't understand the thread count and I just want to get the best quality without being ripped off. At Benji Sleep they want you to know that thread count cotton isn't all that it's cracked up to be, and the real MVP is microfibre. 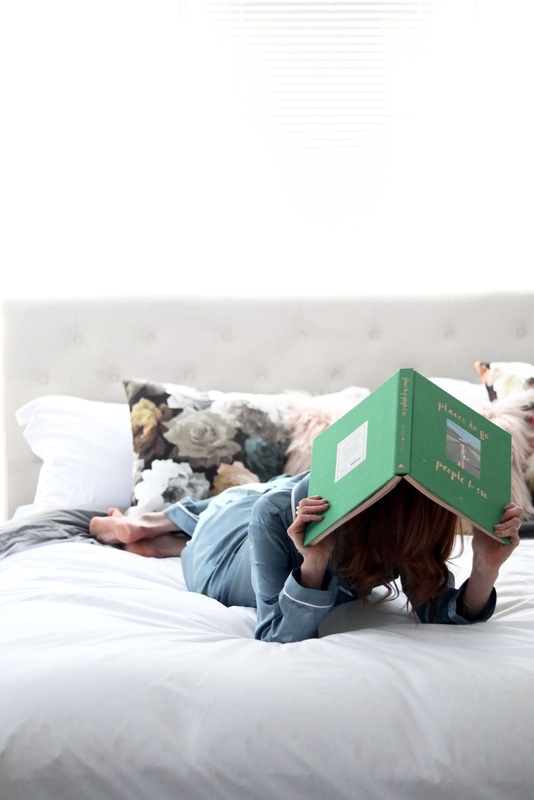 Their sheets provide the perfect blend of breathable microfibre, they are hypoallergenic, and literally are so soft. Ready for the icing on the cake? They are super affordable since they have eliminated overhead costs by focusing on e-commerce. Order online and they ship them right to your door! No warehouse, no markup, no retailer. Plus they offer classic shades that go with any design. 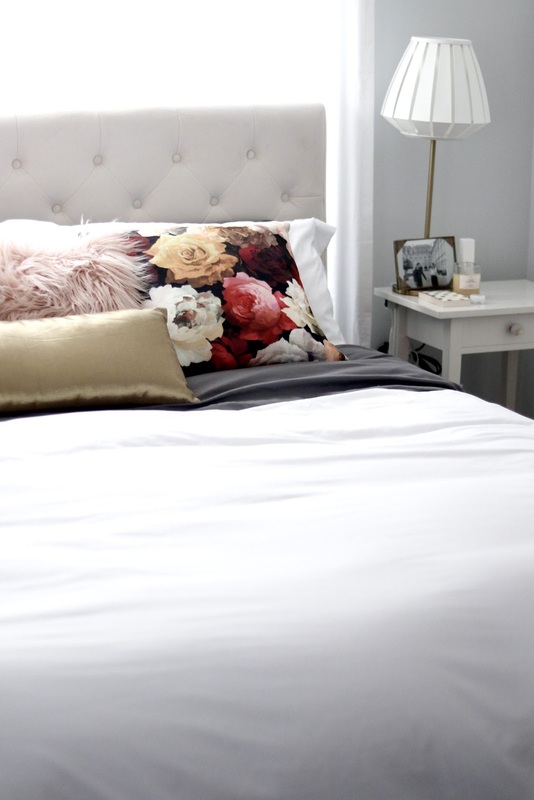 Luxurious bedding isn't something you want to skimp on because it truly does enhance you sleep! Take it from me. I've been sleeping on these softies and I literally fall asleep SO fast. There is something about the material that makes you feel you've plopped yourself on a little velvety soft, fluffy cloud. 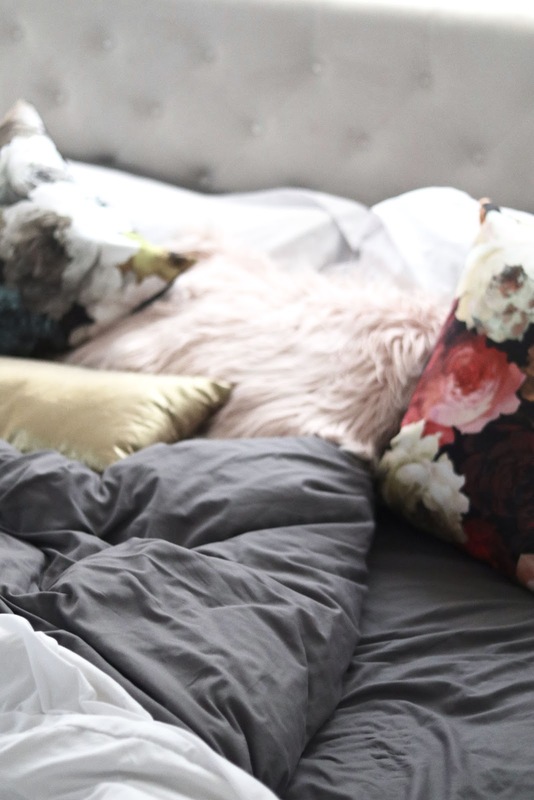 Little luxuries like premium sheets and a duvet set can, without doubt, enhance your sleep so start with Benji to hone in on your sleep potential! 4) Honour your body's natural sleep schedule. This is something we often try to fight. "It's only 9 PM, I can't go to bed yet". Heck no! If I am tired and fighting to keep my eyes awake, you can be sure I'm going to just give in and go to bed. I find I feel more energized when I give my body what it needs when it needs it. Since I have developed a natural sleep schedule where I wake up at a certain time and go to bed at a certain time, I do not alter this on weekends, give or take a few hours. I find even If I go to bed later I will wake up early. If I need a 15-minute nap on a Sunday afternoon to recover from a late Saturday I will take it, but sticking to my normal wake up routine keeps me and my body in sync. 5) Know what effects your body. It is very important to take note of the things that give you more energy and cause your body to react. For example, if I eat a pile of sugary food before bed, I can almost guarantee I'll wake up in the middle of the night with a racing heartbeat and a spike in cortisol levels. When my body releases cortisol it's basically like an internal alarm clock for me and I am unable to fall back asleep for hours. The same goes for me and wine. If I have too much wine before bed I can almost guarantee I'll fall asleep fast, and then wake up a few hours later wide awake. I just have gotten to know my body and the way it reacts to certain things. Does sugar keep you up? Does having alcohol give you an interrupted sleep? What about caffeine? Can you drink it after 5 pm? This isn't just about food and drink. Some people are more sensitive to working out at night, while others can do it no problem. Just take note and experiment cutting certain things out. Benji Sleep is SO kind to offer one P&P reader a Benji Bundle. This includes a sheet set and a duvet! So perfect for the holidays! All you have to do to enter below. Contest closes December 4th, 2019. Only open to Canadian residents. Thank you to Benji Sleep for sponsoring this post. I purchased my last bedding set from linen chest but these look much nicer. Typically, we like Land's End flannel when it gets cold, and Macy's Hotel brand sheets. I LOVE the navy option here, so pretty! We bought our last bedding at Winners but we're due for another set! These sound so cozy. I can't remember - it's been ages ! I am going to look at Giant Tiger, though. Last bedding I got was from walmart. Thanks! Hm. Probably Homesense—and I just ordered a new duvet from The Bay! I purchased my last bedding from a summer market. My husband purchased our last bedding from Sleep Country. Hudson Bay.... off my wedding registry! I also bought my bedding from Hudsons Bay. I bought it from Winners. I purchased my last bedding from Walmart. My last bed linens were purchased at Home Sense; it was on sale. I would love to try this premium product. Thank you! I bought my last bedding at Homesense. Sears, before it closed its doors in North Bay, Ontario 2017! Bed Bath & Beyond is the last place that I purchased bedding from. My last bedding came from The Bay. Bought from Plej's, a company out of business now. I'm currently using Berkshire Blanket polar fleece sheets that I got from TSC. My last bedding was from Quilts Etc. Last bedding I purchased was from Winners. My last bedding was from the Bay! My last bedding I purchased from Home Sense. Quilts Etc was the last place a purchased bedding. I got a coverlet for our bed. It was sooo long ago,I really do not remember,but it was probably from WalmarT!! I bought my last sheet set from Bouclair! I think the last set I got was from Homesense. it has been so long that I don't even remember. I purchased my last bedding from Hudson Bay Home. Bought some line from Au lit fine linen two years ago.